The latest travel trend and buzz phrase in the travel and leisure industry is what is known as “isolation travel”. Isolation, peace and tranquility, in the ever increasing and disruptive noise of everyday life, has become a luxury –albeit a necessity for many. According to Daily South African Tourism Update, South Africa is the ideal spot to accommodate travellers who wish to escape the daily stresses that have become commonplace in our lives. The age old adage that “silence is golden” and term “splendid isolation” is truer than ever, with people desperately seeking to escape the ever pinging of WhatsApp groups, emails, social media push notifications and the “noise pollution” of city life. This latest trend has travellers seeking destinations that offer miles and miles of blissful nothingness; remote places that give them the opportunity to reconnect with themselves, their family and nature and disconnect from the frenzied crowds, technology and the general noise that is part of the world we live in. Imagine large expanses of fynbos plains, fresh air and wide open spaces with stretches of mountain range in the distance; the only ‘crowd’ in sight… a herd of zebras grazing peacefully and the other local, critters great and small, darting or strolling over multi-hued sand. Think of the splendid absence of television, loud music, cell phone signal and fraught people. Picture lying under a ceiling of a billion stars in the comfort of your bed at night, or pottering under baby blue skies, painted with wisps of white cloud, during the day. Add a soundtrack of the whistling of a breeze as it blows around giant rock formations and imagine the warm, liquid sensation of the sun on your skin. No interruption – just serenity. Sounds perfect and idyllic, right? 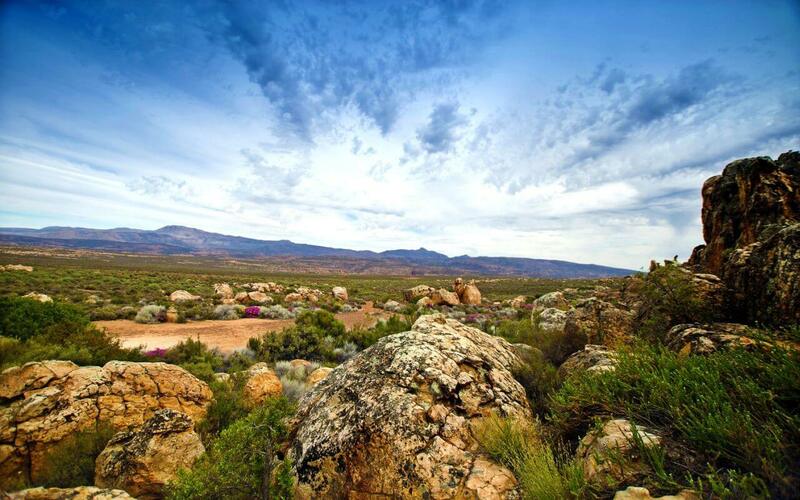 Tania Steenkamp, Kagga Kamma Nature Reserve’s Resort Manager, has noticed an increase in travellers specifically enquiring about stays at the Resort because they are desperate for peace and quiet, and in search of a place to escape city life. She explained that isolation and peace has become a luxury that most people crave, but cannot always easily experience: “And this is why people are so excited about visiting Kagga Kamma – there are no TV sets in the units, no cell phone reception, no overcrowding – just large stretches of untouched landscape that sets the tone for a perfectly peaceful breakaway. All of this offers guests the opportunity to indulge in ‘splendid isolation’ and celebrate what truly matters in life”. Kagga Kamma specialises in offering guests a trip that is unique, peaceful and a cultural experience. With the option of sleeping in the “Cave” or Hut Suites, or in an Open Air Room (weather permitting) – the Reserve offers you the perfect opportunity to indulge in the remoteness and isolation that today’s travellers are craving. As a wise person once said: “In the end, you only regret the trips you didn’t take” – so go on, experience the “luxury” of peace and book your isolation trip today! Hi Lebogang. Thank you for getting in touch with us. Kindly contact our Reservations department who will be able to assist you with your inquiry. Please contact them on +27 (0) 21 872 4343 or info@kaggakamma.co.za.